A Warrior Gentleman of the Wasp Kingdom, Captain of the Imperial Moon-Tiger Squadron, Servitor of Princess Isabella of the Ladybug Empire. Flash Back: While still in a state of delirium down in the dark tunnels of the spider cave, Ferdinando had found that he'd wandered away somehow from Lady Isabella on a strange adventure of his own. It seemed like a dream. He thought he had found a secret passage, and entering into it he wandered down a long stone corridor, into a stone chamber lit by torches. In it he found an old alter covered with dust. The alter was a terrible site to see. Beneath the wings of some hellish predator of the sky were two human skulls, and their eyes were glowing with a dim red fire, and their mouths moved, and voices echoed from them throughout the chamber. They were saying things that Ferdinando could not comprehend, almost gibberish, yet somehow everything the two voices spoke seemed to be coming true, or came true once upon a time, or would come true some day. Yet he could not make out what the words were, but only heard scattering phrases, oddly disjointed, and jumbled, echoing against the stone walls, and losing themselves amid the webs and shadows of that terrible chamber. Next to the alter was a basin on a tripod. Looking inside he saw gold coins covered with dust, and a gemstone, and the skeleton of a man's hand. He thought better of taking any of the coins and wandered away. The chamber was covered in spider webs which flickered in the torchlight, and made strange shapes in the shadows. Then from beneath a darker shadow where the webs where thick there crawled out a spider that was far too large. It seemed to fill the chamber with its hairy body, and black legs; it's eight black eyes looking remorselessly everywhere. Then all of the torches, there were six, flickered wildly and a shadow descended into the room. Through the ceiling had descended a great black shadow in the shape of a bird carrying a man in scarlet talons. It laid the man on the alter, and no sooner had it done so then it flew away into the black night. The man writhed on the alter in great pain. And then the spider came upon him, took him, and wrapped him in cords of silken web. Ferdinando hadn't seen the man's face very well, but he felt he recognized him from somewhere. Perhaps, he thought, it was that fellow who fell from the top of the tower recently and died. The one that Morgana had come to the tower with, whom Lady Isabella had pointed out to him the morning they had arrived there. Mr. Montague, wasn't it? He felt certain. It must have been him. Then the spider lifted the white mass of webs, still writhing, and carried it away into the tunnels and disappeared into the darkness. Ferdinando awoke from his delirium with a sudden cry of fear, but he was still in the spider hole, sweating profusely, his forehead being dabbed with a white kerchief by Lady Isabella who looked down into his eyes with great compassion. She looked so beautiful, he thought, like a queen. But the vision of what became of Mr. Montague haunted him and he shuddered. His eyes darting all around in fear of the black spider, and the terrible bird. "Don't worry Ferdinando," said Lady Isabella. "You were dreaming. But you're awake now, and I'm with you. I won't leave you, and we'll escape this hideous spider cavern together soon. You'll see." And so Ferdinando laid back down on Isabella's lap, and rested. A blue and black striped Wasp, the relative size of a horse, zipped over Storm Wizard’s head in a screaming buzz attack and thwacked a Mosquito of the Crimson Heart Squadron directly between it’s eyes with it’s ebony sting. The Mosquito fluttered to the ground dead, the pulsing red and green light fading forever from its eyes. Not far off on a grass blade, the Ant-Men were battling the mosquitoes, flanked on all sides by the Black Ant Battalions. With his huge black sword the Ant- Magistrate cut a long gash in the side of one of the Crimson Hearts attacking him. On another blade, two Mosquitoes were hovering over an Ant-Man, and with their pulsating eyes brought him under their control. Suddenly three Black Ant Battalions changed course. They began to head directly toward Storm Wizard. With that Storm Wizard recalled that discretion is often said to be the better part of valor, and so he abandoned Rohar, the Silver Locust Prince, and flew up into the air. It was time, he thought, to get away from this place. What might become of Rohar from this point forward would be on his own head, as the Mosquitoes under his command did not seem to distinguish very well between friend and foe. And this was a true observation. The Mosquitoes of the Crimson Heart have no loyalty, except to their own incredible cause. “The Great Cause”, for which all mosquitoes have an everlasting religious fervor. That the Rohar was controlling the Crimson Heart Squadron at the time was not so much a matter of any particular alliance as it was a matter of the generally greater mental power of the Locust-Princes. However, even Rohar was not able to fully dominate the likes of a Mosquito of the Crimson Heart. But Storm Wizard had no way of knowing this, and assuming the worst, he flew off, leaving Rohar to his fate. Far below in the darkness of the spider hole, Juliette and Laraby struggled slowly forward carrying the Red Ambassador of the Locust people. Morgana, after being freed from the webs, took charge of Brian, helping him along by holding his hand. He was quite delirious and continued to mumble to himself, as did Ferdinando, who was being lead by Isabella. As they walked Juliette noticed that with her Eye-Stone she could see through the earth that fifteen feet below them there was a tunnel crossing beneath the tunnel that they were walking through. And in that tunnel she saw a figure in a black cloak, with a cowl covering the person’s head. The person, whomever it was, carried something, but she could not make out what that was. She was then distracted from that by the sound of moaning coming from the large white sack of webs attached to the wall behind her. With her mystical sight she could pierce the shadows, but not the webs themselves. Again she reflected on the fact that her Eye-Stone was limited to seeing only through that which was not magical. Whatever was inside that mass had begun to writhe and moan as the spider-children rapidly scuttled across the floor walls and ceiling toward it. Juliette considered attempting to free whomever, or whatever it was, but she feared. Having accidentally released the spider-children from their eggs, she thought, by reading the poem, she was deathly afraid that whatever was inside that large sack could be another horror. So she turned her back on it, and kept going. The debate in her mind raged for quite some time, but regardless she moved away from it. The small black spiders began to gather on the webs near the sack. At that moment Juliette stepped into the black reflection of the river, its shimmering surface glinting with starlight from somewhere. Feeling the freezing touch of the water she looked down. She then caught site of runic symbols from the webs reflected in the water. She looked up, and saw the billowing webs form a runic statement. She looked at it with a long hard stare. And suddenly she felt she knew what it said. She was shocked! What could that mean! How could Storm Wizard become King. But then, she recalled that it wasn’t long ago that she was offered to be a Queen. She decided to keep what she read to herself. Juliette had the strange feeling she had stood in that black water before. It seemed to her that it was very much like standing in the black waters of The River of Death. She wondered what it might take for herself to become a Queen. Would she have to return to the River of Death? She didn’t think Penelope would be too happy with her if she killed herself so she could return to the land of the dead to marry the Scorpion Prince and become a Queen. At that moment she heard the sound of whomever it was that was moaning in the sack of white webs. The sounds grew louder. Suddenly, the Red Ambassador starting struggling fiercely trying to escape from his bonds. “You do know”, said Juliette, “that there are spiders in here. And I bet they’re really Hungry!” The Red Ambassador stopped struggling, and his locust eyes bulged, as they looked around wildly in every direction. Then the sack of white webbing started shaking again, and the moaning grew more incessant. Juliette again contemplated cutting the sack loose. But she decided against it. It was too great a risk. “Lets keep moving, Laraby”, she said. And so they followed as quickly as possible after the rest of the party. It seemed that the others had managed to get far ahead of them. In fact Daniel led them out of the tunnel and into the daylight. Isabella and Ferdinando came out behind him, followed by Morgana and Brian. Only Laraby and Juliette struggling to carry the Red Ambassador remained behind in the tunnels. 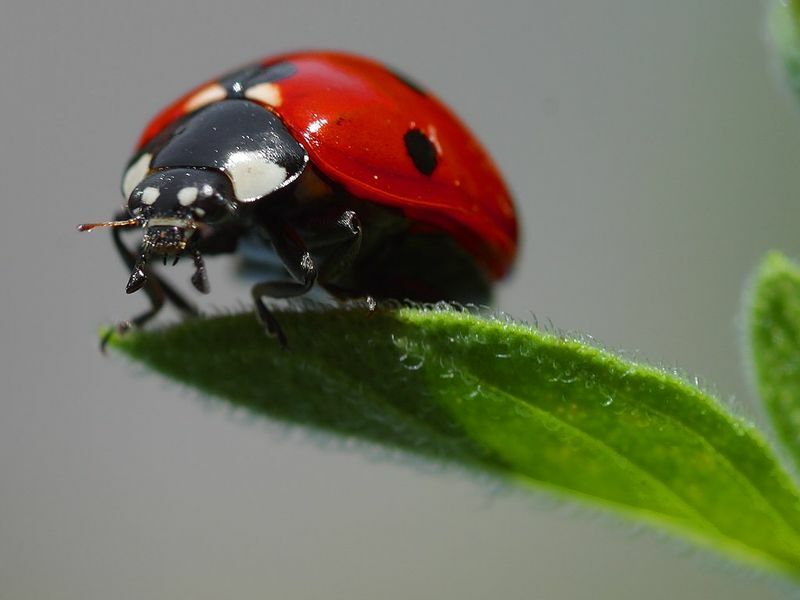 Meanwhile Storm Wizard had spotted the Ladybug on the leaf beyond the area of the battle and began to fly towards her. She noticed him approaching and began to make a twiddling noise and spread her wings, closed them, spread them again, and closed them again. She seemed excited to see Storm Wizard. From behind Storm Wizard heard a low rumbling voice speaking to him very slowly. “Come back…” said the Crimson Heart Mosquito. And with that he cast a powerful spell over Storm Wizard’s mind. He felt his mind grabbed from behind, and felt himself compelled to turn around. And so he did. And slowly he began to fly toward the hovering monstrosity with the huge glowing red and green eyes, and long barbed proboscis. In the distance he could see the Wasps flying into the main formation of the Crimson Heart Squadron over Rohar, but the mosquitoes dodged and darted so that none of them were hit. Not far from him hovered the monstrous Mosquito Lord, who controlled his mind and body. “Come to me”, said the blood-sucking monster. And Storm Wizard went to him. Behind him, Isabella was the first to spot him in the air. Inside the dark cave, Juliette heard the sound of stone sliding on stone. She felt a draft in the air. Laraby seemed to vanish from view. She no longer felt the Red Ambassador on her shoulder. A man wearing a black cloak and cowl passed by the white mass of webs, and walk past where she was standing without noticing her. He was carrying a silver tray. On it was a roast chicken, a bowl of fruit, and two glasses of wine. He made his way through the billowing webs and brought the tray to a stone table, where there were two stone chairs. He put the tray down. She thought he looked like the figure she saw in the tunnel below. The food smelled wonderful to her. “Do I know you?” she asked… and as she looked at him she suddenly realized that she recognized him. His long black hair, and youthful form and handsome face came into view. It was the Prince with the black hair. “Juliette, what are you doing in here?” he asked again. “Being stuck. With a Locust,” she replied, too surprised to say anything else. “I thought you had escaped from here,” he said mildly. Juliette turned to look behind her for the Locust Ambassador, but she didn’t see him. Nor did she see Laraby. Nor did she see the closed in walls of the spider cave. Instead she saw a huge and open black sky twinkling with dark stars, and nearby a river of black water flowed past. “I thought you had escaped”, he said again. “Won’t you join me for dinner?” he asked her after a pause. “Don’t worry. They will be wherever it is that you left them.” He took a glass of wine in his hand and sipped it with relish. “This is so good,” he whispered. “Juliette, you know I’m not the only person here with magic juju going on,” he said politely. She laughed. “Ok,” she said. He handed her a glass of wine. He served her chicken and fruit, and they ate happily for a time. “I have not eaten this well since I died and was resurrected,” she said. “A toast to you. May you live well, and prosper in the world,” he said. They toasted, she smiled. She felt the atmosphere had become warm and pleasant, though it was very dark. He spoke to her of learning to relax and let things go. And then she noticed that she was back in the cave, her shoulder aching under the burden of the pole upon which the Red Ambassador was trussed. It was as if she had just woken up, standing there where she had been before. Laraby was still grunting under the strain, and trying to make his way through the webs. But as the other world faded away into complete darkness she heard his voice saying “… be true to yourself… be true…” and he was gone. Juliette, stunned, enchanted, and alarmed all at once, hoisted the pole to a better position on her aching shoulder and trudged on through the darkness. Juliette, remembering Ember, reached into the folds of her clothing and found the fiery kitten happily sleeping. She rubbed her ears with her free hand and without waking Ember began to purr. Behind her, Juliette heard the moaning sound in the webs. She looked back and saw the spider-children descending on the web. Juliette turned away and kept walking until finally they saw the light at the end of the tunnel. And soon they were stepping outside below the large gray rock that shielded the group from the battlefield. Storm Wizard was flying slowly toward his Mosquito Overlord. His mind was filled with thoughts of obedience and self-sacrifice for The Great Cause. He wished more than anything in the world to have the barbed proboscis plunge into his chest and all his blood sucked into the gaping maw to please his master. Daniel, non-plussed and without pause marched over to Storm Wizard, grabbed a foot, pulled him down out of the air, and grappling his diminutive brother without any trouble, pulled him away. At that moment the black Dragonfly darted from his blade of grass up into the air. It flicked the entire distance in but a moment, and suddenly the Mosquito of the Crimson Heart was snatched out of the air, and vanished. The black Dragonfly darted off, his pray still fibrillating in his tiny but sharply edged fangs. Storm Wizard awoke as if from a terrible nightmare. There was a bottomless pit in his stomach, and he felt woosy. Had Daniel not been holding him he would have fallen over. Meanwhile, Storm Wizard being safe, Isabella, greatly relieved, had called the Ladybug to her and everyone was boarding onto her legs for take off. Storm Wizard was last aboard, after they secured the Red Ambassador onto the Ladybug’s under body. He was still shuddering at the thought of what might have happened next, had not Daniel plucked him out of danger. Up into the air lofted the Ladybug. Emmanuel the Red Locust Ambassador, was ominously brooding, though he kept very still. For as Juliette pointed out to him after they had lifted off, it was a very far fall down to the ground below. Behind them they watched as the battle of the Insects receded into the distance, Rohar surrounded by ants and battling with a gleaming sword, as Wasps and Mosquitoes careened through the air, and Ants marched in relentless columns toward the center of action. Seeing the Ladybug on a leaf not terribly far from the battlefield, Storm Wizard speculated about the possibility of getting her to return and fly all of the tiny adventurers away on her legs. But thinking it over as he watched the Mosquitoes, Water Bugs, Wasps hovering, darting and whizzing around, and the lone black Dragonfly with unknown intentions perched on a grass blade not far away, he guessed that Isabella had sent her aerial servant away to keep the Ladybug from excessive danger, probably because the poor dear creature would be quite helpless in combat. He cast about for other ideas. He reviewed in his mind their immediate objective, which was to convince their human brethren in Hamfest that the Locusts were preparing the Grand United Army to swarm in the east, unless the Insect King agreed to give them all of the food of the Ant-people, and were therefore a deadly threat to the entire Glendale region if everyone did not band together to stop them. Their plan was to use the influence of mystical Elkron to cause great circling winds to push the locust swarm toward the Mountain of Zim in the north as they crossed the desert. There they intended, with the help of the Aphids and other Insect people to lay a huge fire trap. This of course would require the cutting down of a great number of trees from the Black Forest, and the movement of a great deal of lumber. Which of course would require the muscle power and skill of the humans, as the insects could not accomplish this feat on their own, clever as they may be. And so the party had come to the conclusion that capturing the Locust Ambassador and hauling him in front of the town-folk in Hamfest would at the very least convince them that a race of Locust-Men existed, and that the threat of the “Grand United Army” was in all probability real. Especially when they heard what the brutal Red Ambassador would doubtlessly have to say on such an occasion. Meanwhile, down in the spider hole, Juliette was eyeing the sword that Laraby was holding. A fine and beautiful silver blade it was, etched with scripts and intricate designs. She wondered if it would be possible that they could use the sword to convince the townsfolk that the Locusts were real, since it had been the Locust Ambassador’s sword before Storm Wizard had pilfered it from his side when they had captured him the first time. Perhaps the script on the sword was in the Locust’s language and would suffice to persuade them. But it seemed that was unlikely after all. No one that she knew of had any idea that there were Insect Nobles who could assume a humanesque form, and it seemed rather unlikely to her that the people from the township would have any idea what Locust script looked like in any case. So bringing the sword to them as evidence would simply not do after all. Storm Wizard looked down at Emmanuel lying prostrate on the brown bark of the twig. His copper toned skin was glinting in the rays of sunlight that dappled the grounds around them. He knew that the Locust Ambassador would awaken in a less than a minute, as that was the longest he could expect his Stun Beam spell to last. The Black Ants were rapidly approaching in long columns between the towering green grass blades. Other Ants, he saw, had taken positions on grass blades all around them. In the distance he saw a troop of Red Ants heading their way in a two colums along the ground. Storm Wizard considered taking some radical measure to wake Rohar from his Battle-Trance, since he believed that it was possible that Rohar would come with them back to the human lands. The adventurers had no interest in the outcome of the battle between the Mosquitoes, Wasps, Ants, Water Bugs, and the Locust-men. All they were interested in was the acquisition of one of the Locust-men, by hook or crook, to return with them to the human lands. However, it seemed that Rohar was so preoccupied with controlling the Mosquito Squadron, and Water Bug Fleet, that it was unlikely that he could be moved to let go of the battle and flee away with the ‘Steel Wool Sheeps’. As he thought about this he noticed that the Ants were in such large numbers on all of the leaves and grasses around them that it would be unlikely for Rohar and his brother Emmanuel to escape them. No matter how far he looked he could see Ants on every blade. Out from among one of the battalions of Black Ants stepped a heavy set man dressed in black armor carrying a great black sword. He was stocky, barrel chested and built for fighting. His eyes were the eyes of ants, and he had two antenna, and two sharp black mandibles protruding from his heavyset jaw. “Rohar! You are under arrest! Give up!” shouted the Ant-Man to the Silver Locust Prince. Juliette was watching all of this using the Eye-Stone from within the spider cave. She thought it would not matter much even if the Ants killed Rohar, as he would still look like a Locust-Man, and that should be enough for the towns people to convince them. Storm Wizard was thinking the same thing, in fact, and thought it a good point. That the thought was rather unkind toward Rohar, who was after all risking his own life trying to help the 'Steel Wool Sheeps' escape, evaded the siblings. They were focused on the success of their mission. And understandibly so, since so much hung in the balance. Seeing that this was probably their best chance, under the circumstances, Storm Wizard shoved Emanuel over the edge of the log, down to the mouth of the cave. Laraby immediately tied him up with ropes, and for good measure cut spider webs from the walls and used them to securer the bonds. This was all done in the nick of time, as Emmanuel was just on the verge of reviving, and as the last knot was tightened and sealed the brutish Red Ambassador awoke in a rage. He was just about to belt out one of his mind-crushing roars when Laraby shoved spider webs into the Ambassador’s mouth, and so saved them from being blasted by a sound so loud it might have collapsed the cave on top of them all, and at the very least deafened everyone. Instead, Emmanuel struggled in his bonds, attempting to break the ropes by sheer force. He was, fortunately, unable to do so, as ropes were strong, and the spider webs unyielding. Meanwhile Juliette watched as the battle above raged. The Ants were closing in on Rohar, as the Wasps attacked the Mosquitoes with well coordinated strafing. She turned her attention to the cave. It seemed to her that it might be safer to make their way back through the spider cave tunnels to get back to the entrance they had entered on the other side of the battlefield, rather than attempting an above ground run for it with all of the Ant Battallions stationed everywhere. However, it would be slow going as the spider cave was covered in a shroud of webs, any of which could ensnare members of the party. But looking above at the profusion of insects waging full-scale war, it seemed the safest route, as terrible as it may have been. Besides, she thought, as far as they knew the two spiders in the cave were dead, and the baby spiders in their eggs were no immediate threat. And so they organized themselves into a single line, and moving as slowly as possible through the webbing they made their way down toward the first of the tunnels that would lead them through the spider lair to the outside beyond the battle. Up above Storm Wizard landed near Rohar. He tried to convince the Ants to stop attacking the Silver Locust Prince, but it seemed a futile gesture. One of the Ant-Men ordered him to get away from Rohar, and Storm Wizard began to back away slowly. “I don’t know who you are, or how you got here”, shouted the Ant-Man, “but you in extreme danger! Back away!” The Ant-Man seemed to have the mannerisms of a military officer or high ranking official of some kind. Around him the Black Ants were positioning themselves for battle. The Mosquitoes of the Crimson Heart Squadron continued toward the Magistrate, but he stood fast and prepared his rather enormous black sword for combat. A Wasp flew directly over Storm Wizard’s head, and made a line directly toward one of the Mosquitoes along the right flank of the Crimson Heart’s Diamond Formation, grazing the Mosquito's flank with it’s stinger, so that it was badly wounded. Still, it stayed in formation, hovering in the air with a distinct wobble, greenish puss spilling from his wound to the ground. The Wasp once it passed circled too close to the lake, and was pummeled by globules of water. It fell into the lake with a huge splash, and the Water Bugs immediately flicked over to where it landed and surrounded it. Though it struggled mightily, the Wasp once in the water stood little chance of escape, and the Water Bugs drowned it. Down in the spider hole, as the tiny adventurers moved slowly through the web shrouded tunnel, lead by Daniel who had a torch in hand, using it to try to burn the webs out of the way. "I'm stuck!" Morgana shouted suddenly. She was esnared in the webs. She tried to free herself but it was useless. Daniel returned to her and with his dagger began to extricate the girl from the silken threads. They were in the center of the second chamber, a wide cave shrouded in webs. “My feet are freezing”, she said as she struggled to free herself. Juliette could see around the chamber into which they had entered. There was something wrong. The webs around Morgana had formed a series of veils that were blowing in an unfelt breeze. They began to billow like sails. She wasn’t sure, but as she looked it seemed to her that the webs formed runes written into the fabric of the webs. She then began to hear the children again, singing the nursery rhyme. Juliette then noticed a piece of paper near her that was stuck in the webs, fluttering. She took the paper and read it. It was a poem. She had no idea what it meant, and decided to read it aloud. As soon as she did the children’s voices grew audible again to everyone and became louder. She then heard a disturbing series of noises coming from the exit cave where the spider egg sacks were. And with her Eye-Stone she saw the spider-children eggs had begun hatching, one by one, and small black spiders crawling out onto the floor. They skittered towards the tunnel down which the party had fled. It was then that Morgana became very frightened. She looked into the webs and could read the silken runes and they told her a tale of deadly horror, and unbearable sorrow. “The bird! … The bird!” she began to whimper. “You mean the bird that I tossed in The River?” asked Juliette. “The Black Bird… is coming!” whispered Morgana. This brought Juliette’s mind back to the place where she’d seen the Black Bird on the shores of the River of Death. And she was reminded of the handsome prince with the long black hair who had wanted to marry her. She thought of him, and it seemed to her that she had thought of him frequently since then. He’d been so serious, so handsome, and she wondered what it would have been like to be married to him. It seemed to her then that he would not have been a terrible husband after all. Why she hadn’t agreed to his demand at the time began to evade her. She felt an unexpected desire to see him again. Her thoughts were interupted by sight of the spider-children that were beginning to enter the second cave. She could see them crawling along the walls and ceiling amid the haze of webs. They were the size of Juliette’s fist. There were fifty of them entering the cave. More were hatching behind them. And a group of of the spider-children remained behind and had begun to weave a web over the exit of the cave. This Storm Wizard saw, and he became alarmed. The cave entrance rapidly covered over with a white sheen of silken threads. The Ant-Men were fighting for their lives. The Mosquitoes were hovering before them using their hypnotic power to try to control the Magistrates. One of the Wasps whizzed past Storm Wizard on his way to the next attack. Black Ants in troop formations of 20 began to march toward Rohar from four directions. The Red Ant battalion had gained considerable ground and was getting close enough to see clearly. Among them was a Red Ant-Man wearing red armor and carrying silver tipped spear. “Fight on! Complete our mission!” yelled one of the Ant-Men as they fought against the Mosquitoes. In the spider cave Laraby and Juliette struggled to carry the Ambassador whom they’d trussed onto a pole that was hosted between them. Isabella was guiding Ferdinando in his delirium, while Juliette had made Brian grab onto her belt so that he would not get lost. He followed along close behind her like a little child, silent, scared, and hallucinating the most terrible things. He mumbled the nursery rhyme as he went, trembling, and sometimes leaning heavily on Juliette’s shoulder. If Isabella was frightened, which she very much was, you would not have been able to guess by her demeanor. The courageous young lady moved forward with a stalwart determination, cutting away webbing with her dagger as she followed behind Daniel clearing the way for those behind. For his part, Daniel was not frightened at all. He found the entire adventure exhilarating, and was focused on successfully guiding the party out of the caves. He felt quite sorry for Brian, because he knew his brother would have very much enjoyed it all, had he not been suffering the delusions of the spider poison. He planned how he would one day soon tell his brother the whole story of how they escaped from the Insect War with the Red Ambassador through the terrible spider caves. It was about this time that Juliette began to smell chicken. Roast chicken. The beautiful smell of delectable herb-roasted chicken. She thought it very strange! She suddenly realized that she felt very hungry. What could possibly be the cause, she wondered, and half expected to see old Biddy Mable show up with a roast chicken on a platter. As she watched she noticed that Morgana, who was still not entirely cut free from the webs yet, was standing in a rivulet of water. Not real water, but the shadow of a reflection of water on the ground. It was black as night, yet its rippling surface reflected the dark light of stars somehow. The webs began to shake along the north wall. Gazing in that direction with her Eye-Stone she saw through the shadows and found that there was a solid mass of webbing the size of a man, far too thick for her to see through, horizontally attached to the wall, shaking. She guessed it was the spider’s dinner. Juliette decided to keep moving forward, and taking Brian’s hand stepped way from the white vibrating mass toward the exit they were seeking. The smell of roast chicken began to mingle with that of a fine wine, she thought. She shook herself and followed after Laraby, carrying the burly Ambassador painfully on her right shoulder. She took a glance toward the spider-children who were inching their way into the cave. The tiny adventurers crowded together in the center of the second cave. Everyone was looking in a different direction, each in his own world. Finally Morgana was freed from the webs, and Daniel began to lead the party forward again. His torchlight flickering ahead on the trail, crossed by thick white threads and shrouded by wisps of white silk on all sides. "We have to move more slowly to avoid anyone else being caught in the webs," Juliette said. And so they inched forward through the tunnels, surrounded by the echoing voices of the spider-children as they sang their rhyme slowly over and over again. "... life is but a dream ..."
Having decided to take refuge in the dark and frightening spider nest for a second time, the ‘Steel Wool Sheeps’ huddled at the tiny entrance trying to catch sight of what was going on outside and above them. Laid low by a stun beam from Storm Wizard’s still smoking fingers, The Red Locust Ambassador was quite unconscious, way up on top of the gigantic twig that was towering over the adventurer’s heads. They watched from the shadows as Rohar, the Silver Locust Prince, marshaled the Mosquito Squadron into a fighting formation above him. This was, in fact, the very same Crimson Heart Squadron that had attacked the Hamfest Hellhouds on Sky Raft, not so long ago, for those who might be acquainted with that story. The mammoth mosquitoes formed into a diamond pattern and hovered in place, awaiting the arrival of another Squadron that was fast approaching from the south east. The air filled with the horrible mind numbing hum of the mosquito’s buzzing wings. And the green and crimson auras of their eyes, pulsating in unison, touched everyone's nerves with a nameless fear. As the second squadron approached, even before they could be seen, the droning of their relentless mental commandments tugged at the edges of their hearts and minds. The call to "Obedience" and "Self-Sacrifice" for "The Great Cause" was almost too strong to resist. They all felt the cold fervor that attended those commandments, and shuddered as they shook one another free from the hellish clutches of the Crimson Heart. The Bellowicks and their friends, fortunately, were brave souls, and stood against the threat by remaining calm and observing carefully everything that happened. At that moment Storm Wizard was feeling rather proud of himself, actually, as he reflected on how he laid low such a fearsome opponent as the Emmanuel, the Red Locust Ambassador. Some might say it was a lucky shot, others that it was a skillful display of mystical prowess, but either way, one blast of his Stun Beam Spell knocked the overbearing copper clad brute unconscious, and that was a fine thing indeed. He deserved to be proud, thought Juliette, who was further back in the spider hole, using the eye-stone to see through the dirt and beyond the grass blade forest above. She noticed again how the spider webs seemed to form a kind of cloudy barrier though which the eye-stone had trouble seeing, and how some patches were too thick to see through at all. Magic, she thought again. To the rear of the cavern was the dark web-shrouded tunnel that she preferred not to ponder on. But even so she could view the scene above as though looking through clouds of mist. What she saw was alarming her greatly. A huge black and blue striped Wasp, to the adventurous children the size of an elephant, buzzed the tops of the grass blades overhead, and whizzed past in a long loud screaming streak. Another one flashed by from another direction. Juliette noticed that not far in the distance there was a small puddle the size of a shoe, which to Juliette seemed the size of a lake. On the lake she saw several long-legged Water Bugs skitter across the surface of the brightly shimmering water toward the shore. These monstrous beings were moving closer in a well formed line, like a fleet of battle ships. It seemed to Juliette that Rohar was commanding the Water Bug Fleet with one hand, and the Mosquito Squadron with the other. She felt, she admitted to herself, somewhat bewildered by the situation, not knowing what the right course of action might be. The circumstances were complex, after all, and the situation dire. They could all very easily die in this conflict. She felt flustered, confused, and disoriented. And far below deep down in the spider hole, hidden in the darkest shadows of all, a smile crept onto the face of someone who had been waiting there very patiently for a very long time. Morgana was tending to Brian who had become somewhat delirious and was mumbling about shades of things that could not possibly be hovering in the the webs all around them. He was sweating profusely and shaking. He began to hum an old nursery rhyme to himself. She swabbed his face and neck with a cotton cloth. Lady Isabella was tending to Ferdnando, her blue and black clad warrior, in much the same manner. He also was slowly becoming delirious under the influence of the poisonous spider bites. “The salve we gave them will serve to keep the poison from spreading further, for the time being, but I’m afraid it can do little to help them through the delirium they will suffer,” said Lady Isabella to Morgana in a whisper. Neither of them liked being back in the spider lair one tiny bit. They both eyed the large glistening sacks of spider eggs attached to the far wall near the mouth of cave. On their faces were expressions of grave concern. Three of the black eggs had dark juices dripping from the holes Storm Wizard had carved through them earlier with his dagger. The rest seemed to be writhing black circles inside their translucent pale green cocoons. Isabella estimated there were about a hundred eggs bound to the wall by strong silvery silken webs. One hundred minus three. “Brian seems to be caught in some sort of childhood dream,” Morgana said in response, not taking her eyes from the egg sack. “Indeed, that may be the nature of the poison,” said Isabella as she wringed the sweat from her handkerchief, also watching in fascination and horror as the dark fist-sized shapes inside the eggs wriggled in tiny circles. It seemed to her that when they first saw the egg sacks the shapes had not been moving. Juliette watched with growing alarm as wasps flew by over head, and a battalion of Black Ants began to climb in lines up the giant blades of grass all around them. The Mosquito Squadrons coalesced into a single diamond formation over Rohar’s head. Storm Wizard took out the red pearl from his pocket and held it up in the pale light. It seemed to glow with a faint red fire from within. He wondered if he would really be able to use it to bring all of the tiny adventurers back to normal size. Cowering in some dark shrouded spider hole seemed as grim a situation as he cared to ever be in. He noticed that the pearl seemed to have lost a certain amount of its luster and color, and he wondered if that was an indication that the powers within it had been used up to some degree. If so, he speculated, it might mean that the pearl was limited in its powers, and could be used up completely. He hoped there would be enough power left in it when the time came… otherwise they all might remain tiny-sized forever. And forever, for them, might not wind up being very long, since the tiny-world, they discovered, was exceedingly dangerous. The thought filled him with a grim foreboding. Meanwhile above them the mosquitoes had entered battle formation, and had begun to engage with the Wasp Squadron. The Wasp Squadron was Isabella’s personal bodyguard called ‘The Moon-Tiger Squadron’, the Captain of which was Ferdinando, though she didn’t mention that fact to anyone. Storm Wizard, who was watching from behind a root as the Wasps began to engage, thought that he wouldn’t mind very much if the Wasps killed all of the Mosquitoes. “Isabella, since Rohar who is helping us to escape is controlling the mosquitoes, and I’m pretty sure the Wasps would listen to you, is there any way you might be able to cause them to stand down?” asked Juliette of Isabella. On the other hand, thought Storm Wizard to himself, if the Wasps die then they would be able to speak with Rohar again as the battle would quickly be concluded. Juliette was thinking along the same lines, but considered that it would be even more convenient if the Wasps happen to kill the unconscious Emmanuel before he woke up. Then, she thought, Rohar would not be able to blame them for his brother’s death. But this, she suddenly realized, was an evil thought. Deep in the shadows far below them a second smile crept onto the face of one who had been waiting patiently. Flying in low toward the Crimson Heart Squadron, one of the Wasps was suddenly struck from the side by a globule of water that burst out from one of the Water Bugs. The globule hit the Wasp with force sufficient to cause it to slam full speed into a grass blade. The great green tower shuddered with the impact as the thunderous "Ka-Thwam" echoed in the air. Ferdinand and Brian were both talking to themselves. “No I can’t read. No I don’t know where I am anymore. Where is candyland?” asked Brian of no one. Morgana swabbed is forehead looking at him pitiably. Laraby, though shaken from the previous battle, held the Ambassador’s silver bladed sword in his right hand, and stared up through the entrance at the battle being waged above. He felt confident because the sword conveyed to him a sense of peculiar power. He occasionally glanced toward the back of the spider hole where the tunnel opened up from the darkness below. He gave Morgana a reassuring smile, though it didn’t help very much to assuage her fears. Juliette was giving a running account of what she could see of the battle through the rocks above, trying to be encouraging as possible. “I hear voices”, said Morgana. “So do I”, said Ferdinando. “I hear children singing”, said Brian. “Row, row, row your boat, gently down the stream. Merrily, merrily, merrily, merrily, life is but a dream”, the three of them chanted in harmonic unison. It suddenly became very eerie in the dark spider hole. “Ok, *that* was Creepy”, said Storm Wizard. Juliette then began to hear the children singing. It sounded like a hundred children, their tiny voices floating around the cave. She suddenly let her eyes fall on the large sack of spider eggs attached to the far wall of the cave. Her eyes grew wide, and the eye-stone glowed with a golden-red fire as she peered deeper and deeper into the sack. In each egg she beheld a black-eyed child dressed in a black school uniform, singing the ancient nursery rhyme. “You stabbed three of those eggs, Storm Wizard…” said Juliette with a growing sense of horror. The eggs writhed and jiggled in the faint light. “The children we hear singing are in the spider eggs”, she stated absently, her voice trailing off. “Woopse”, said Storm Wizard. “Well, they looked like spiders. I don’t have an all-seeing Rock-Eye, and I didn’t know they were children. I take no responsibility for their demise. They looked like spiders to me”, he said finally. Meanwhile Juliette was watching as the children sang, and in a strange sort of twilight way she seemed to follow the children as they picked the three dead children from the floor of the cave and carried them to a dark place and lay them down on stone slabs, all the while continuing the chanting of the rhyme. Now, all of ‘The Steel Wool Sheeps’ could hear the singing of the spider-children. “This should teach you a lesson about indiscriminate killing,” said Juliette to Storm Wizard with a glowering tone. “It was not indiscriminate. The spiders, if you recall, were trying to kill us”, he retorted. “Not the ones in the eggs!” she whispered back fiercely. Juliette searched her memory for any folklore that might tell her about the children inside of spider eggs. However, she could remember nothing to help from the stories she heard as a child or read in the monastery. “Stay away from the children-eggs”, said Juliette to everyone. “Isabella, do you know what this is about?” asked Storm Wizard. “I suspect there is dark magic involved”, she replied unhelpfully. In fact her people never escaped from spider lairs once caught in them, and so there were few tales that spoke of the spider's secrets. And none of the ones she knew had mentioned anything about human children being inside of spider eggs. She shuddered. Everyone herded to the back of the cave to get away from the egg sacks, which at that point had started vibrating in a disconcerting fashion. Meanwhile above, the Wasps were making attack runs at the Mosquito Squadron, and one of the mosquitoes was hit with a loud ‘thwak’ and utterly destroyed. The other mosquitoes focused their pulsating eyes into a unified red and green harmonic, and Juliette sensed that they were trying to take over the mind of the Wasp as it passed by. They failed and the Wasp flew past without slowing, his eyes shielded by black lids. “Isabella, are the Ants going to kill Rohar?” asked Storm Wizard. “I do not know,” she replied as she swabbed Ferdinando’s forehead. She didn't know. But she suspected that they would. Storm Wizard then got up off his haunches, and flew upward and out of the entrance of the cave into the air, still having the flying spell in effect from earlier. As he few upward he saw quite a bit more of the terrain than he had seen before. The Black Ants were taking up positions along every grass blade within several feet of their location, and on each blade there were 10 or more ants. It was an army. There was along the shore of the lake to the south a number of Water Bugs blasting out water globules from their mouths at the Wasps as they flew near. 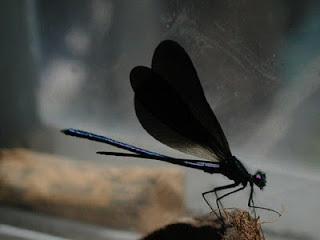 In the distance he could see a black Dragonfly with purple eyes perched on a blade of grass. And further away he caught site of the ladybug who had settled onto a leaf at a safe distance from the battle. The Locust Prince was so focused on controlling the mosquitoes and Water Bugs that he could not answer. Storm Wizard doubted that Rohar had even heard him, so thoroughly absorbed as he was in conducting the battle. He thought he knew what Rohar would say. "Run, you fools! Run!" Ok, well this is not so much a Review, actually, as much as my recollections and impression of Fortune's Fool, based on my brief and engaging encounter with the Game Designer, Jay Stratton, and the Editor-In-Chief at Pantheon Press, Jason Keeley, over at the Complete Strategist in NYC on October 2nd. I have not, I should say up front, reviewed the rules in any sense of the word. However, I did sit in on a short session where the rules were basically demonstrated, and so I got the gist of things. I am going to simply convey my impressions, such as they are, in the hopes that it may help people to at least get a basic idea of the game and it's virtues and vices. So to set the scene, I showed up late to the basement game-room of the Complete Strategist, where I found a large crowd of gamers gaming away. There was one table at the front set up for a demonstration of Fortune's Fool, and there I found the elfish and animated Gamesmaster / Game Designer, Jay, regaling the group around his table with the tale end of their game session. Apparently, things had not gone so well, and the ending was a sad affair. Poor Pinocchio! But more on that in a bit. The group seems quite happy with the game, and broke up, and so I introduced myself and took a seat. Jay and Jason were kind enough to give me an overview of how the game works. "Fortune’s Fool is set in a rich and flexible time period called the ‘Fantasy Renaissance.’ This time period is rife with story lines and themes for your group to mine. The Renaissance is the time of man, but many other races flourish during this new age. Your character might be an Orc from the Russian Steppes or a sturdy Bavarian dwarf. You might play a wooden-shoed Halfling from the cobbled streets of Holland. You might even pick an ancient and immortal Elf straight from the courts of France." The mechanics are pretty simple. You draw from the Tarot Deck whenever you resolve any kind of conflict. Your character has attributes that relate to the deck in a simple, yet effective manner. For example, when building your character you get to select which Major Arcana are favorable (I think - I was not quite 100% clear on how this part works as we were rushing along a bit), and when you draw those cards they give you bonuses of various sorts. There is a charming set of Fate Twists, such as "The House of Misery", "Fool's Errand", and "Premonition" (among many) which allow you to take certain kinds of actions with the cards to influence your chances of success. The rules are reasonably tightly tied to the genre, and while in many cases that is a limitation, in this case I think it works to the game's advantage. Just reading the book is fun, or the bits of it I've had time to read so far. Then, as these things were being explained, another interested person showed up, and then a third. We had enough people to play a quick and dirty game, but not a lot of time to play it in. So we just jumped in feet first and gave it a whirl. Without getting much into the mechanical details I think it might help to hear the story as it was played, so I'll give a brief outline. I played Geppetto, Pinocchio's father, and with me were Turchina a fey-like blue skinned young lady with magical powers, and my Geppetto's faithful assistant Figaro. We were together at the toy shop making preparations for Pinnocchio's 7th birthday. Geppetto was reflecting on the wonders of the boy puppet... and the sinister deal with Olga the witch he had to make in order to bring life into the wooden creation. For seven years Pinnocchio would be a normal boy, but then the spirit that animated him might rebel, and who knows what might happen then. She didn't know. Neither did Geppetto. After a while it became apparent that Pinnocchio was not coming home. We sent Figaro to the market to see what became of the boy, since he should only have been gone for a half hour or so. Figaro came rushing back with news that Pinncchio was seen being taken away by a rival puppet-master named Mangiafuoco, the owner and director the The Grand Marionette Theatre, a gluttonous, mountain of a human. Horrified, Geppetto, Turchina, and Figaro hitched their wagon and made a mad dash to the next town to follow after Mangiafuoco. We almost fell off the edge of the cliffs along the way, but with the luck of the Tarot we managed to hold course, and only Turchina lost her horse. We made it to the town where Mangiafuoco's theater was located, and obtained enough information to form a plan. It seemed that he was advertising for a special show in which he was going to present a rare and astounding sight: A giant puppet-boy. Hmmm... Since things were dire, Geppetto explained to his friends the sinister truth regarding what exactly was lurking inside Pinnocchio. (*note: I don't think I should give too much away about the scenario for those who might play it.) We sent Figaro to apply for a job at Mangiafuoco's theater, and again with the luck of the cards he made his way in, and we got some idea of the layout of the theater, and determined how Pinnocchio would be presented on stage. Geppetto meanwhile bought three balcony seats with a view of the stage above. He hired a body guard to stand at the door. When the time came and the horribly deformed and giant Pinnocchio appeared on stage, Turchina integrated herself into the performance with a special Latin Prayer... Once more the luck of the cards was with us, and with a pretty good bit of teamwork and the careful use of the Fate Twists we maximized our odds, and won the day. Pinnochio was saved, Mangiafuoco was quelled by Geppetto's oratory (he being Pinnocchio's father, after all) and so he offered Pinnochio a job as his new Star, and so it was that Pinnocchio had a wonderful birthday after all, and secured a promising future for himself, Geppetto, and Figaro. Turchina, after gracing us with her presence and powers, vanished off to her next adventure. All in all, it was quite fun! The only downside to the system that I could see was that it requires searching through the deck to find cards at certain points so that they can be placed in accordance with the particular ruling. That does not take long, but in the heat of battle you have sudden suspenseful gaps... which may not be the worst thing in the world. I give the game high marks for it's excellent use of period flavor, and it's rather charming aspect. It was fast and fun, and in the right hands I think it can make for some very good RPG experiences. It did for us. The adventure of Pinnochio (of which we only played the last scene due to time constraints) can be downloaded from Pantheon Press in PDF form. It was a well designed scenario, and gives enough of an example for GMs to get the idea and follow suit with their own scenarios. Also, the Pantheon Press website is very attractive, I must say. Lovely artwork! Congratulations to Pantheon Press - Nice Job!